This beetroot and broad bean recipe is very easy to make and has been one of our favourites this year. It’s simple and nutritious and if you weren’t able to grow your own crop of broad beans this year, you can still pick them up at good fruit and vegie shops in Sydney at the moment. I enjoyed growing my first crop of broad beans this year and was amazed at how easily they grew requiring very little input for quite a good return. Beetroot is also a very to grow and is very versatile in home cooking. In Sydney we’re lucky enough to be able to grow it most of the year and I’ve even had success growing it in the small pots in our vertical garden. 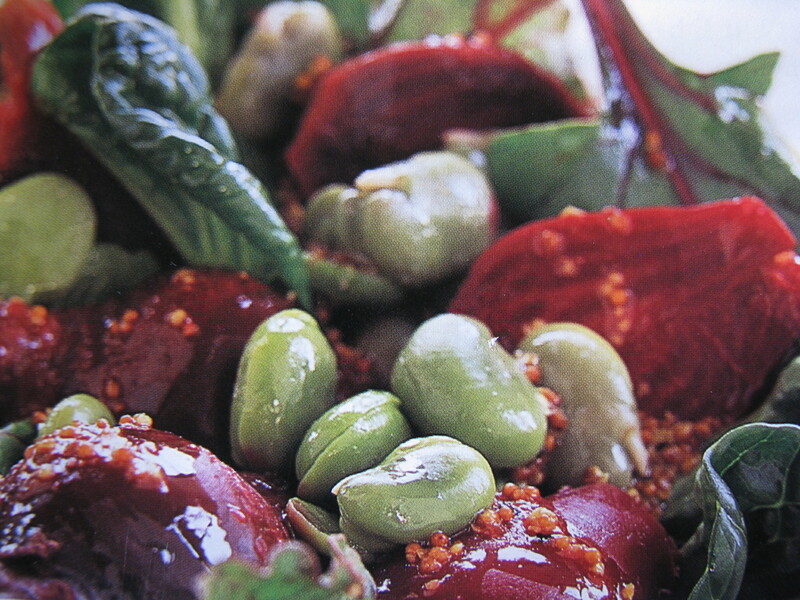 Anyway get yourself some fresh broad beans and beetroot and give this one a try. I think you’ll agree it’s delicious. About 1.5kg beetroot plus leaves, 500g fresh broad beans, shelled and 200g tatsoi or any nice leafy asian greens. Dressing: 1/2 cup olive oil, 1 tbls lemon juice, 1 tbls wholegrain mustard, 1 tbls honey. Whisk everything together and add salt and pepper to taste. You can either boil the unpeeled beetroot for about 10 mins but I prefer to bake mine whole in a piece of foil because they tend to retain a better flavour and their colour is intensified. It takes about 30 mins for small beets to cook in the oven but make sure you test them with a skewer. When they’re cooked to your liking, set them aside and when they’re cool enough to touch, peel off the skin, cut them in half or quarters and place them in a large flat salad bowl. 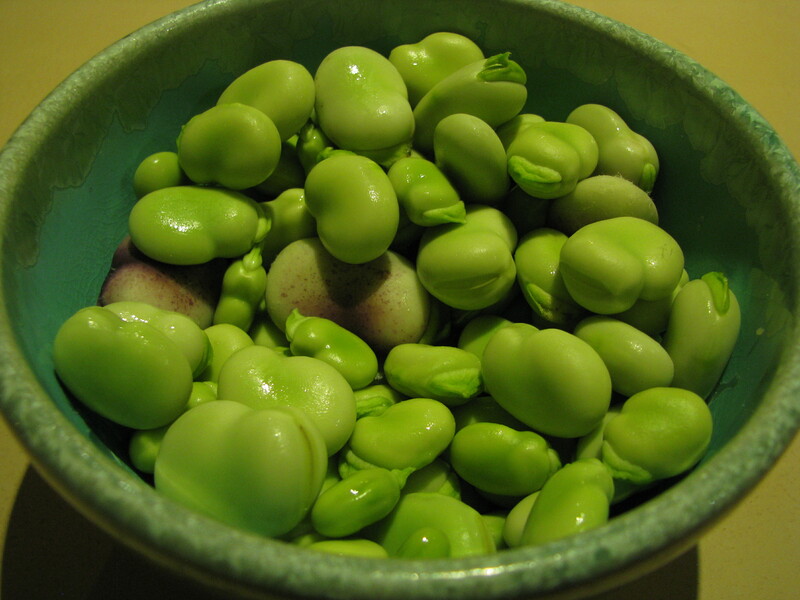 In a saucepan of boiling salted water, add the peeled broad beans and simmer for about 3 minutes then drain. When they’re cool enough to handle, slip them out of their skins and add to the beetroot. Add the beetroot leaves and inner soft tatsoi leaves or other greens and pour over the dressing gently tossing. Serve warm.